"Criminalising homeless people is a national disgrace and shames our society." 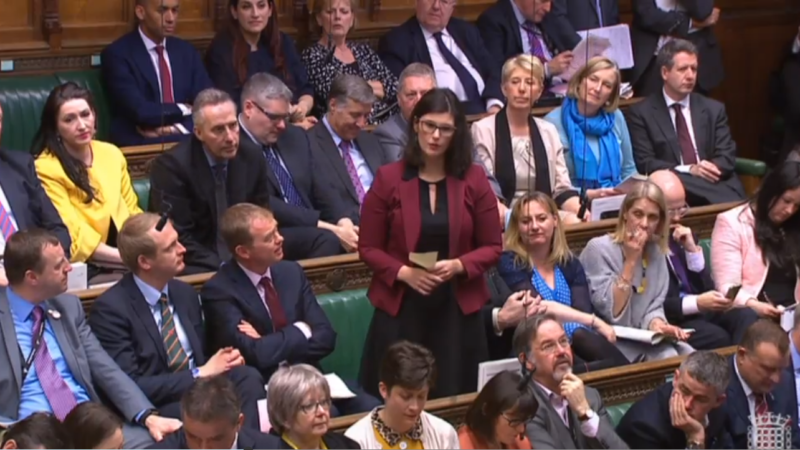 Liberal Democrat MP Layla Moran has asked the Prime Minister to back her campaign to scrap the Vagrancy Act from 1824 at PMQs today. It comes after figures obtained by the party showed that 6,518 people were found guilty of rough sleeping under the Vagrancy Act (1824) across England and Wales between 2014 and 2017. The figures from the Ministry of Justice have been described by the Lib Dems have described as ‘chilling’ and the law ‘archaic’. In the last four years, 1,836 rough sleepers were convicted in the London Metropolitan area alone, in addition to 646 in the West Midlands, 592 in Merseyside and 441 Greater Manchester. In 2017, 1033 people were brought before the court for rough sleeping or begging, 874 of whom were convicted according to the Criminal Justice System quarterly statistics. Of these people, 509 received a fine averaging £62, but some were fined up to £500. And five people were sent to prison for a month. Hundreds more are moved on by the police under threat of arrest, according to reports on the site Reaction.Life. Today I asked a question to the Prime Minister about tragic homeless deaths and the outdated Vagrancy Act. On Monday, it was revealed that nearly 600 homeless people died on Britain’s streets in 2017. LFF understands Moran has now secured a meeting with the relevant Minister – Heather Wheeler, Parliamentary Under Secretary of State at the Ministry of Housing, Communities and Local Government. “I’m glad that the Prime Minister has recognised the seriousness of the plight of those living on our streets. “When I meet with the Minister, I will be asking for the Government to support my campaign to scrap the Vagrancy Act, an indefensible and outdated law. Homelessness charities including Crisis, Centrepoint and St Mungos are backing repeal of the Act, with St Mungos praising the MP’s intervention on Wednesday. The charity branded the Vagrancy Act an ‘outdated and stigmatising piece of legislation which must be repealed’. Labour are also backing repeal.